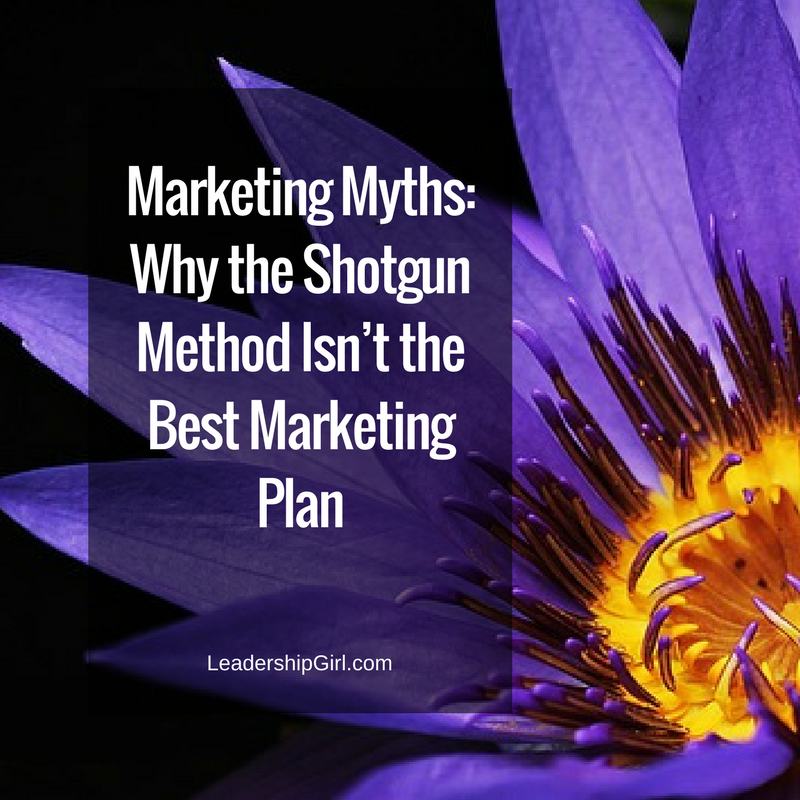 I see a lot of small and medium size businesses trying to market their business using what I call “shotgun marketing” as their marketing plan. They are trying to save money, bring in customers and get more business. Sounds good, right? They read up on the latest marketing techniques and then start trying several of them. When marketing, these businesses might use Facebook, Facebook Ads, Google Adwords, Newsletter “blasts”, and others means. The problem is that they frequently end up having six different people providing services for them. Their website person is different from their SEO person, is different from their Adwords person, is different from their Facebook Ads person, and so on and so forth. They’re probably getting leads, maybe even a lot of leads. The problem is that without a clear, cohesive strategy, they are likely paying more money than they need to. Say what? Even if they’re using the lowest cost providers in each case, they are likely spending more money on marketing and advertising than if they put together a cohesive strategy that is based on market conditions where they are and how they choose to spend their money. Marketing does not have to cost an arm and a leg. There are so many marketing myths out there. Here are a few of the more common myths I see and hear. Myth 1: If you spend enough money on Search Engine Optimization (SEO), you’ll show up on the first page of Google searches. Not necessarily. If there are 160 other people who are also spending a lot of money on SEO to get to the first page of Google, it can be tremendously expensive and difficult to rank organically for the keywords you want to use for ranking. You might instead try to employ other strategies that aren’t being used by your competitors so you have a fighting chance to stand out in the marketplace. Myth 2: You need to be on every single social media platform. Not so. I see too many people trying to have a presence on every single social media platform. This can drive you straight to crazy trying to keep up with all of the social media platforms. You won’t necessarily drive more traffic to your website or even see customers if you’re not employing the right communication strategy in your business. Myth 3: You have to have a blog. Not true. You do not necessarily need to have a blog on your website. Simply having a blog as a “me too” strategy can backfire. You may want to consider other options such as guest blogging, guest podcasting, and becoming a Huffington Post blogger. There are lots of other options that would help you get backlinks to your website, and you won’t have to be as consistent as someone who has their own blog. Myth 4: Longer posts on social media are better. Not quite. You want engagement. People may not engage with longer posts, especially when they see blocks and blocks of text. They may elect to keep scrolling rather than reading your post. Myth 5: You need to use hashtags on Facebook and LinkedIn. Please don’t. Facebook’s algorithms are currently not favoring posts with hashtags. I can actually tell when someone has paid to have their social media done, as they have gone crazy with hashtags on their Facebook posts. Most people don’t use them anymore on Facebook or LinkedIn, except for as a joke or for artistic emphasis. Beside that, hashtags make reading a post more difficult. We are already in a battle for the attention of potential clients. So we should make our posts inviting and easy to read. Myth 6: Advertising brings in clients. Not necessarily. Advertising helps build brand awareness, but honestly, nowadays people flip past commercials on TV or scroll past them in the recordings. We flip past them on radio and ignore them completely on YouTube. Paid mass media can be the most expensive way to bring in customers and one of the most inefficient. You need to carefully weigh the cost of bringing in each client, and then decide if a particular method is worth it. Myth 7: You need an expensive website for your business. Nope. There are some inexpensive ways to create a website. You can also make do with a single landing page with your information on it along with a call to action. If you can’t afford a website, that’s okay. I’ve seen plenty of successful businesses that don’t have a website. You can create a Facebook Page or get creative in other ways to have an online presence and still get found. So what is a good marketing plan? The truth about marketing is that you need an actual and realistic strategy. Almost every shortcoming can be overcome with a bit of creativity and planning. There are very few things you “must” do in marketing and business, and lots of ways to choose from them.